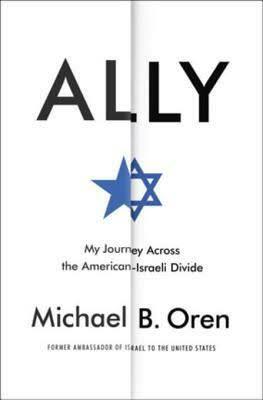 Reading a work that would obviously be very pro-Israel sets up an anticipatory set of expectations and Michael Oren’s account of his term as Israeli ambassador to the U.S., Ally – My Journey Across the American-Israeli Divide, certainly met those expectations. In fact it exceeded them, providing an analysis of the relationship that when parsed throughout the work perhaps says something somewhat different than was intended. Or maybe not, as one method of his critical writing involves simply denigrating the person/argument that is not in agreement with his own. Those words – “deluded…lunacy…chicanery…duped…” et al simply avoid the necessity of having to actually counter another’s argument. As the writer, I am sure the same format would apply to what is written below. What I will not deal with here are the many ‘interpretations/narratives’ that can so readily be countered by reference to other Jewish Israeli historians and researchers who have contributed immensely to global understanding of the situation in Palestine beyond what is provided by the mainstream media – Jeff Halper, Never Gordon, Miko Peled, and Shlomo Sand to pick just a few. Outside the realm, one of the strongest modern historians is Ilan Pappe with several excellent works concerning the history of Israel/Palestine. One of the first surprises of the book is its reference to the Jewish tribe: Oren refers to “my tribe, the Jews;” is inspired by an Irish song “Where is my Tribe;” equates the U.S. and Israel saying “we still belonged to the same tribe;” later he refers to “a sense of tribe” in relation to military power, territorialism, and nationalism. Tribalism had for me up to now been a derogatory term used to describe the various autocratic/monarchic governments of the Arab world such as in Kuwait, Qatar, Bahrain, and of course the Saudi tribe ruling the Arabian peninsula (mostly). It tends to be equated with “primitive cultural practices,” a term dear to Canada’s neoconservative government as it tried desperately for re-election (big no to that). To hear it used as a positive by Oren was illuminating, especially in its latter utterance associated with military, territory, and nationalism. It is antithetical to the idea of democracy – maybe not within a tribe, but certainly to those considered the ‘other’ to be feared and to oppress in order to maintain the tribe. Including the U.S. as part of the tribe is also illuminating as the U.S. is the largest backer politically, militarily, and economically of the Jewish tribe in Israel. At one point, to which I will return more strongly later, Oren says that Israel is not apartheid because it has Arab Knesset members, and Arab IDF personnel. It becomes an irrelevant argument in the same manner of saying there is no racism in the U.S. because Obama is black and they have black military personnel. It is simply a null argument. Apartheid cannot be democratic (see below). Red herrings are also associated with conjecture. When discussing “the removal of the deranged Gaddafi” Oren slips into pure conjecture asking “If Gaddafi had not surrendered his centrifuges and were now surrounded in his bunker with nothing left but a button…would he push it?” Well, who knows really, as the “NATO intervention” (read CIA special ops, U.S. backed) did away with him. The implication in my mind is that yes, Israel would push their own nuclear button. When the Israelis attacked the Mavi Marmara in international waters, Oren says, “The sheer mass of these critiques astounded me.” He then heads off into a red-herring argument about “the accidental killing of fourteen Afghani women and children by U.S. forces that same week hardly merited a mention in the American press.” The statement demonstrates a naive ignorance of U.S media – which I doubt as Oren was born and raised in the U.S. and is obviously not ignorant of it – or it simply serves to divert the argument away from the Israeli attack. Of course the U.S. media would not play up the Afghani ‘accident’ as the press is mainly controlled by a few corporate conglomerates with their associated military business interests. The same argument continues a few pages later with Oren arguing that the U.S. “did not apologize for killing Pakistani troops along the Afghan border….” What? What happened to the wedding party? No apologies there either. To join this barrel of red herrings, Oren dismisses the suffering of the Muslim population in the West Bank, “if Israel’s policies since 1967 were so suffocating [why] had the West bank’s population at least tripled?” I don’t know, perhaps lack of family planning and health facilities, perhaps the poverty as their is a direct corelationship globally between poverty and birth rate, both items related to an oppressive military governance regime. Perhaps “suffocating” under a military regime increases the physical and psychological necessity to procreate….? If anything, from global health statistics, Oren’s observation supports the very idea that the people are indeed “suffocating.” Prune a tree (olive or otherwise) and it bears many more fruit. Another surprise is Oren’s diversion into the USS Liberty incident in the 1967 war. He uses it as a red-herring position with the Pollard spy case. Oren writes, “I had scrupulously researched the Liberty incident and ruled it a tragic mistake in which Israeli forces reasonably believed the vessel was hostile.” Ouch! If that is scrupulous, it gives the word a bad name as except for the “official” U.S. position there is much evidence – that I will scrupulously avoid here – indicating that it was an intentional act of murder in international waters. Official U.S. positions are not noted for being accurate and reflective of the truth. For the first idea, an argument that people are not paying attention to what China is doing in Tibet does not negate what the Israelis are doing in Palestine. To argue that any other country is also doing what Israel is doing never negates the acts perpetrated by Israel against the Palestinians. In relation to the second comment about standards and scrutiny, it ties in the whole relationship with the U.S. and the rhetorical claims by both countries about how ideal they are. Certainly it is beneficial to Israel and the U.S., but perhaps not in the way expressed by Oren, but it is certainly not beneficial to the stability of the world. The relationship between the countries is essentially one of Israel as a U.S. military outpost. What little stability has been established in the world outside the realm of U.S. imperialism has generally been destroyed by that imperialism by either covert or overt military means combined with financial-political control through the various “Washington consensus” establishments such as the IMF, World Bank, the Bank of International Settlements et al established after WW II. Now combine these two strands: the claims for superiority in law and morals with the dissimulation of wondering why we are being picked on. There could be various reasons, but the hubris and arrogance of both entities leads naturally to a careful critical examination of claims. Anyone claiming superiority, a stronger moral position, is bound to undergo more scrutiny. After all, who cares about a bunch of black Africans killing each other in the Congo, or the Indian subcontinents ongoing rebellions and oppression, or the Filipino genocide in East Timor, being just a bunch of coloured people in far away places, savages hacking each other to death (in all these cases involving directly or indirectly the U.S. and allies). It could also be that Israel is being picked on not just as Israel but because of its perceived and acknowledged relationship with the U.S. in its drive towards global hegemony, and particularly in the Middle East its drive towards control of oil resources (and thus the petrodollar) while using Israel as its military outpost. This imperial role is a role that Israel accepts even though Israel has moved beyond that with it’s individual military dominance of the region. Yes, oil is the raison d’etre of U.S. intrigues in the Middle East, not because of the need for supplies, but mainly to guard the pricing of oil in U.S. dollars in order to sustain the U.S. as the global reserve currency, thus allowing the U.S. to keep printing dollars backed by nothing in order to continue its attempted global military “full spectrum dominance” to be realized. Israel has used this, and used it wisely for its own purposes. I believe Oren is saying much more than he realizes here about the true nature of the U.S.-Israeli alliance, especially when the argument devolves to his biggest fear, that of the boycott, divestment, and sanctions (BDS) movement. Along with the indispensability and moral memes prevalent in U.S./Israeli political rhetoric, the word “democracy” is pushed at every opportunity, almost as if to deny the reality that it does not exist (tell a lie often enough and people will come to believe it). Within Oren’s work is a strong revealing attitude towards apartheid that has a direct impact on the ideals of democracy. When discussing his attempts to answer all questions as “all students deserved to be treated respectfully…and made a point of choosing those who – telling by their dress or demeanor – were likely to be the most contentious.” Grand idea, almost eloquent, except for two questions he considered not kosher (Oxford Eng. : fulfilling requirements of Jewish law). So how could a question not fit the requirements of Jewish law? It is outlawed as it reflects a serious flaw in the representation of the Jewish state as democratic. Yet Oren does respond to apartheid as noted above with the reference to Arabs in the Knesset and IDF, and as I critiqued with the comparison to racism not existing because of a black president and black military personnel. He continues with another red-herring asking “Has Israel put six million Palestinians in gas chambers?” Well no, but neither did South Africa, and South Africa is the real arbiter of what defines apartheid – it is their word after all, connected directly to their experience. Several aspects of apartheid are to be noted here. One is that it is obviously non-democratic. Secondly it is part and parcel of imperial/colonial-settler movements and has been used successfully in some areas of the world, but was overcome in South Africa. Apartheid was an official South African policy, copied in part from the success that Canada had in removing its native populations from the land and its resources. Terrorism could not defeat Israel, only stain the Palestinians reputation and divert global attentions from settlements [remember these words]. But a policy designed to isolate, deligitimize, and sanction Israel could bring about its downfall. Where conventional Arab armies and terrorists had failed to achieve their goal of destroying Israel, BDS aimed to succeed by devastating Israel’s economy and isolating its citizens internationally. The truly frightening part for Israel is that it is a citizen’s initiative that has a proven track record. In other areas of the world – the U.S. and its sycophantic allied governments readily use BDS to weaken economies in attempts to change governments and impose their neoliberal corporate governance. South Africa however remains the penultimate example of the effectiveness of the BDS movement that counter-prevails against government oppression. The recognition of apartheid defines the government as non-democratic, one of Israel’s oft repeated standard claims. A state that uses apartheid cannot be democratic at the same time. Ironically, the more Israel protests against BDS and the definition of apartheid, the more it raises questions and the more is revealed about Israel’s position vis a vis Palestinians. Another factor that seems to come into play is the militarized nature of the Israeli state, both in the manner in which it controls the Palestinians, but also in its corporate military economy. This ‘miracle’ economy is supported by billions of U.S. dollars, and is sought after by many nations around the world. The high tech instrumentation, the security technology, and the field tested armaments and crowd control techniques are sold to monarchs, dictators, and nominal democrats with equanimity. Now review those points where I bracketed, ‘remember these words’. 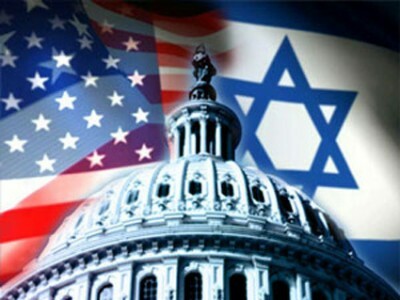 They all indicate the need for Israel and the U.S. to maintain the militarized nature of the economy and of the politics in order to keep their economic interests successful and thus to maintain power over as broad a spectrum of global activities as possible. Settlements? War and terrorism are good diversions. A “modicum” (Oxford Eng.”: a small quantity …of truth] of stability? Certainly we would not want a lot of stability as that would not do well for the military industries, and it also helps in creating the fear factor within the citizens of the country. The big idea however is that the U.S. is “ bound to the region both by the profits and threats it generates.” Profits – quite a revealing term. There are several for the empire. Foremost is simply that, profits. Wars are good for the U.S. economy as its major contributor to GDP, the major component of its budgets are militarily related. A ring of chaos (an empire of chaos as per Pépé Escobar) serves the purpose of maintaining wars, as well as maintaining control of resources, and restraining and containing with the goal of destabilizing Russia. The penultimate goal as noted above by Oren, is oil and its relationship with the petrodollar. As long as the Saudis keep their agreement to sell oil in US$ many of their transgressions will be forgiven and hopefully forgotten. Indeed, in this aspect, the Saudis are direct allies with the U.S. and Israel. While exporting militant jihadis that destabilize other countries after the U.S. has destroyed their governments and civil infrastructures (Afghanistan, Iraq, Libya, Syria among many others), they are also buying billions of dollars of military equipment and maintaining the percolating discontents of the region against the empire. The threats, unexplained by Oren, should be clear from the above. The threats are to the domestic economy of the U.S. A great deal of fear was created by the “new Pearl Harbor” of the 9/11 attacks (another item I will ‘scrupulously’ avoid detailing, other than to say the official version is a complete sham, especially to anyone with a basic knowledge of the laws of physics), again all in support of the military-corporate industries and their control of global resources and global economies. The terrorist threats have been mainly diverted and transferred through NATO ally Turkey to Europe, again to be perceived as an item of destabilizing a region in order to control it (economically, and politically, vis a vis trade with Russia). Israel is a de facto unitary state, with recognized apartheid structures under a militarized economy and social structure. Peace would stop the creation of more settlements. Peace ultimately means the cessation of “negotiations” for the now impossible two state solution. Peace can only arrive by negating the ethnic cleansing and apartheid policies of the government. Peace, according to UN Resolution 194, would mean that Palestinian refugees could return home. BDS is a peaceful means to that end. Oren’s work, Ally, has met expectations of the Israeli perspective, but also includes some insights that perhaps he would not have wanted to emphasize or even reveal. That perspective is marred by conjecture and misleading arguments that do not stand up to scrutiny. The truth that neither Israel nor the U.S. are really the partners seeking peace and democracy peeks from between the fine sounding rhetoric of these two allies. As a side issue, Oren references Churchill many times in relationship to Netanyahu. This inadvertently tells more truth than perhaps was intended. Churchill may have been the right man for the right time – being WW II – but he was also a racist, supported the British Boer war (a race war if there ever was one), and supported aerial bombing of poison gases in Iraq against the “brown savages” in the 1920s. cited in Why Israel? The Anatomy of Zionist Apartheid – A South African Perspective. Suraya Dadoo and Firoz Osman. Media Review Network, Melville, South Africa 2013. Ibid, p. xxii. Also highly instructive is another South African oriented production, the video documentary , Roadmap to Apartheid, (2012). See review [here]. See also Utopia, (2013) John Pilger’s documentary of Australia’s aboriginal genocide and apartheid. But note their reticence after Russia stepped in to assist their long time ally Syria. It makes one wonder what Putin said to Netanyahu on his visit to Moscow. Israel has been strangely silent on its relationship with ISIS and al-Qaeda in Syria (although providing medical support to their fighters) and has not said anything that I can note concerning Russia’s interventions against the terrorists.